Trinity Foundation Missionary Baptist Church will hold its 5th Annual Family Reunion on March 30, 2019 at 3:00 P.M. at 5129 Simpson Street in Tatemville. The theme for the occasion: “CHAMPIONS FOR CHRIST.” There will be teams from near and far coming together as winners for Christ to give him the highest praise. 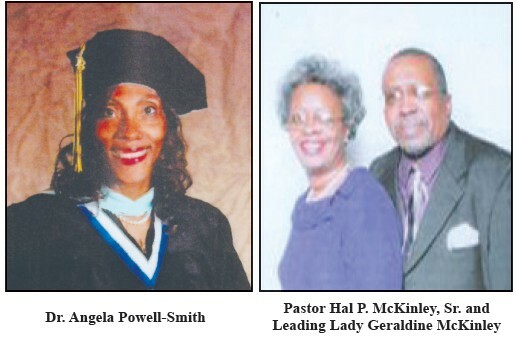 The speaker for the occasion will be Dr. Angela Powell-Smith, a graduate of Talladega College, B.A. – Psychology, Georgia School of Professional Psychology, M.A. – Psychology, Argosy University, Ed. D. respectively. At Talladega College she was a team captain for four years and was selected to the Alabama All- State team for three years. She will expound on the importance of being champions for Christ. This program is being sponsored by the January February March birth month group of Trinity Foundation. The public is invited to come out and enjoy an afternoon of fun and fellowship.